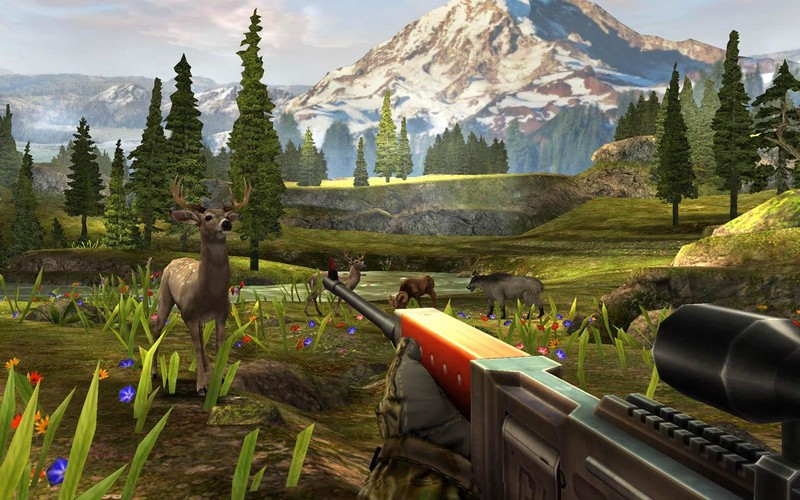 Deer Hunter 2014 is a free to play first-person adventure in the world of sport hunting. 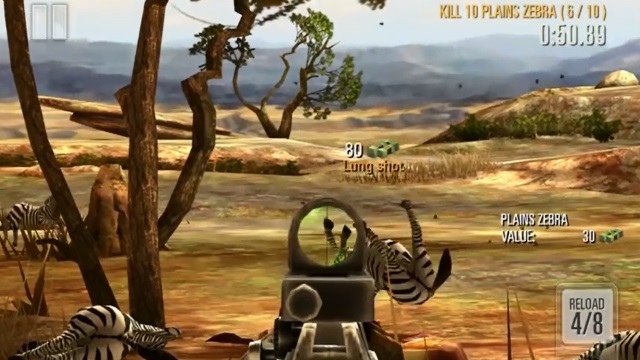 Travel from North America to Africa in search of exotic animals. 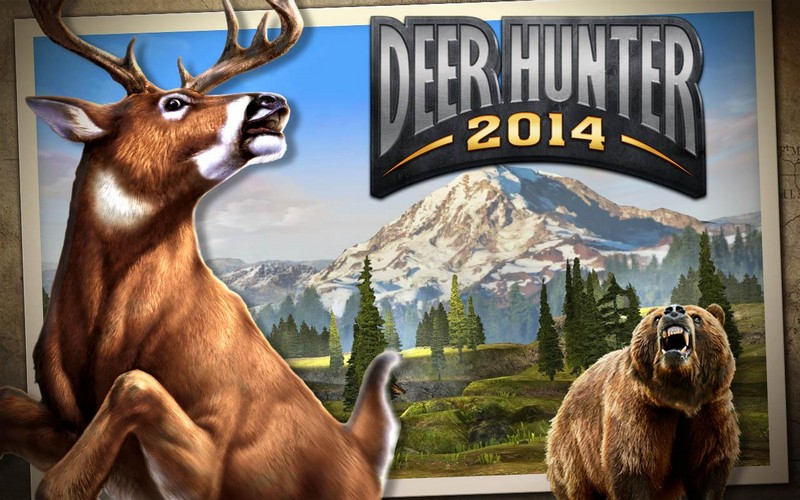 Club Hunts: Join with friends in global co-op challenges to complete objectives and earn rewards. 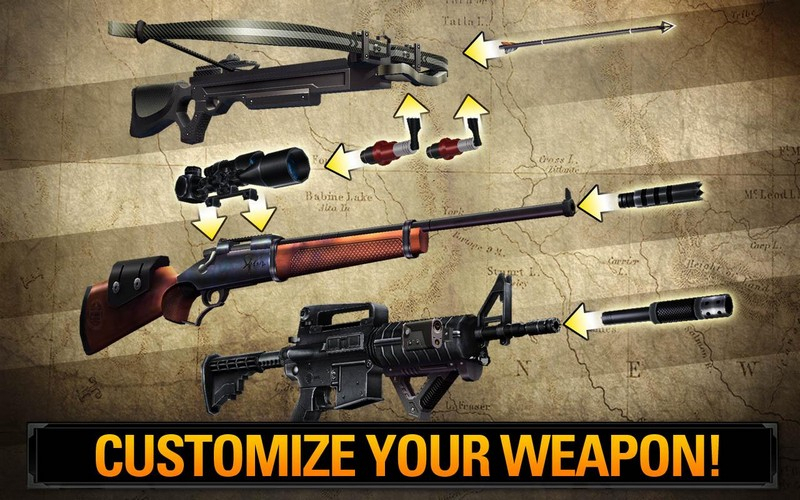 Weapon Customization: Upgrade magazines, scopes, stocks, barrels, and more. 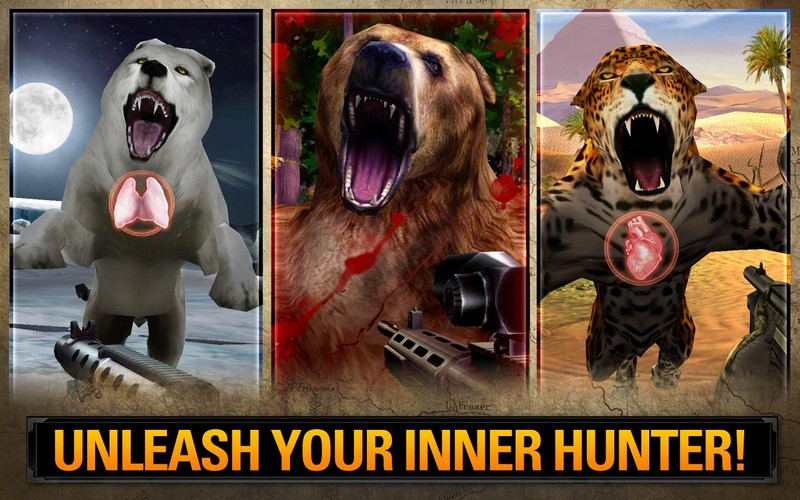 Trophies: Earn achievements and places on the leaderboard as you bag the biggest animals in your hunts. 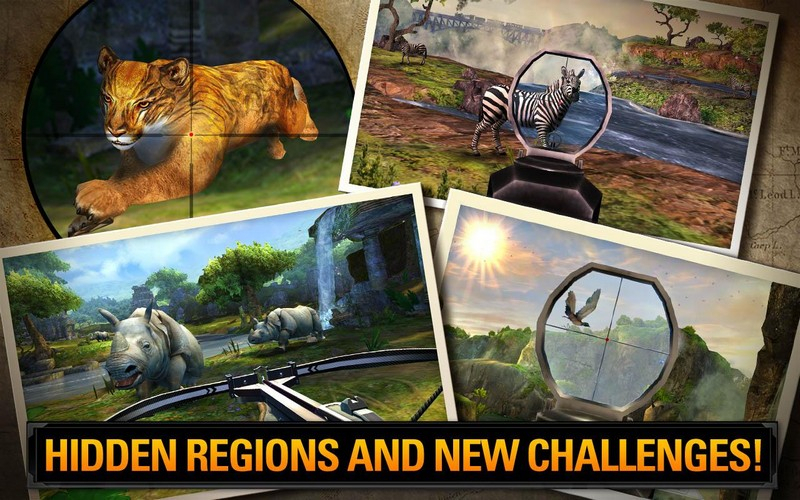 Travel from North America's Pacific Northwest to the Savannah of Central Africa in an epic journey to hunt the world's most exotic animals.